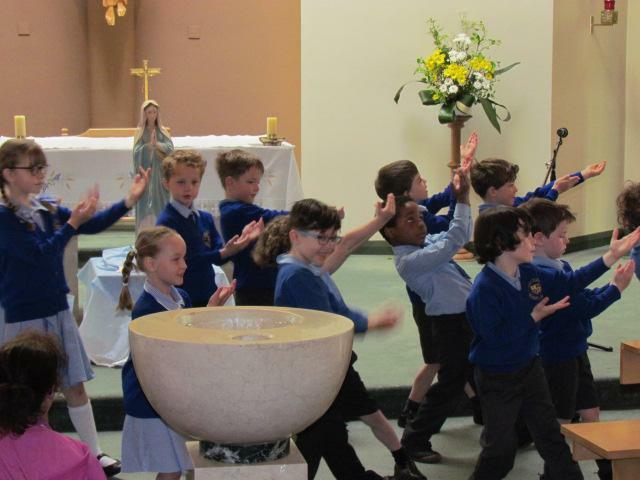 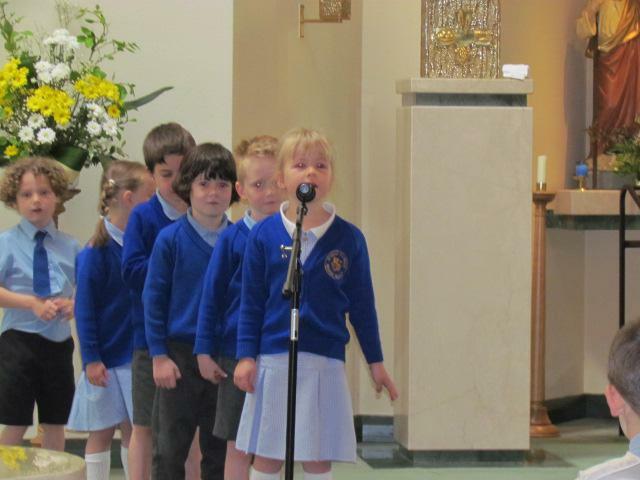 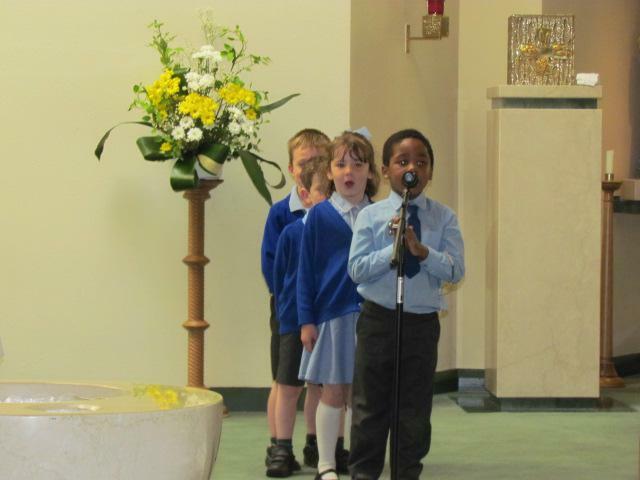 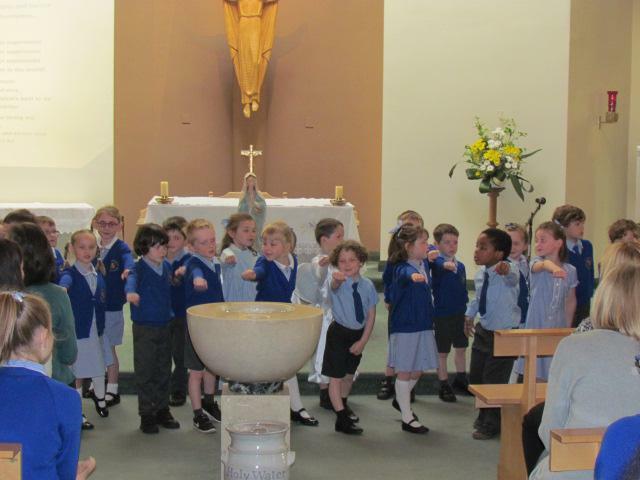 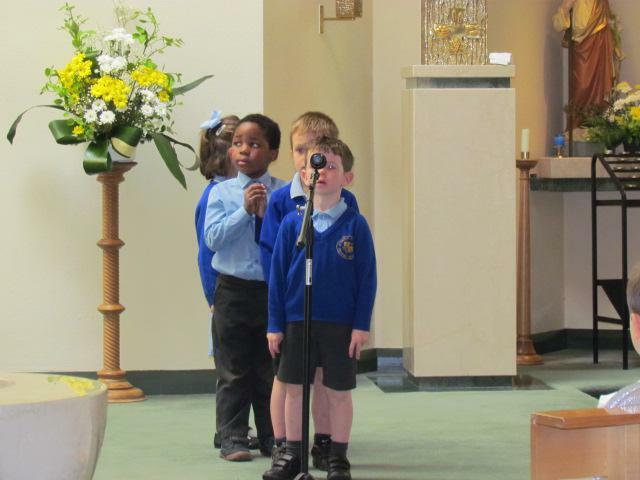 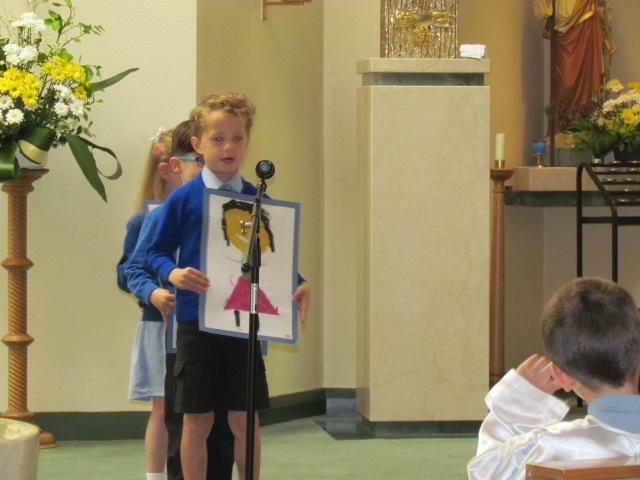 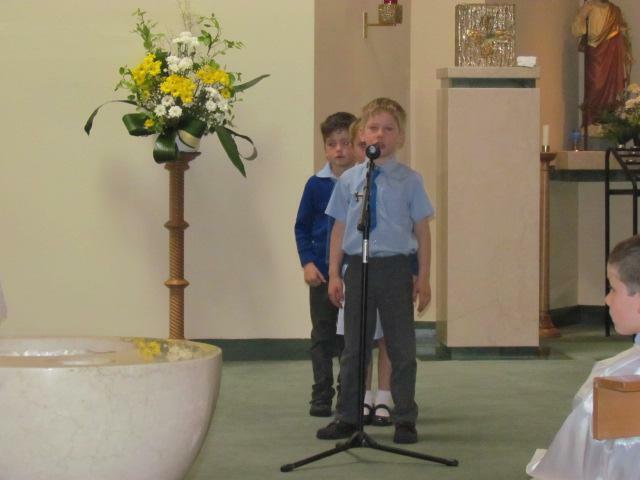 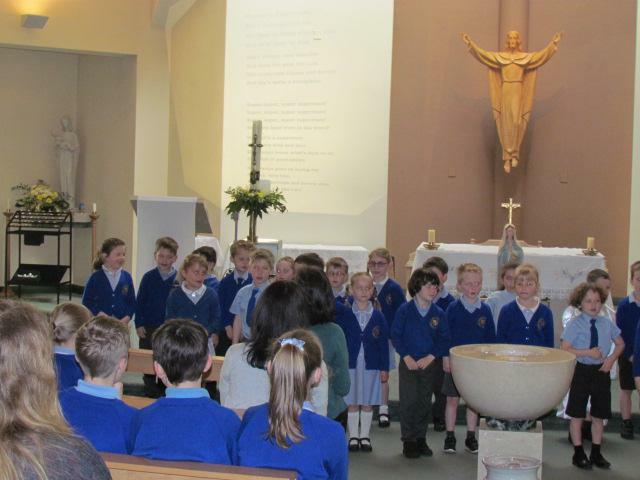 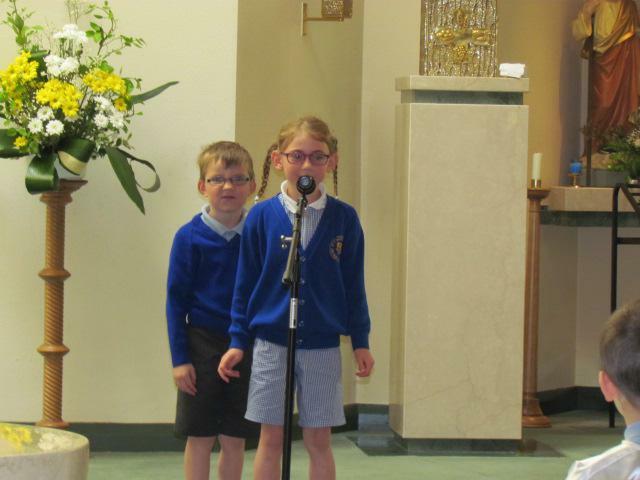 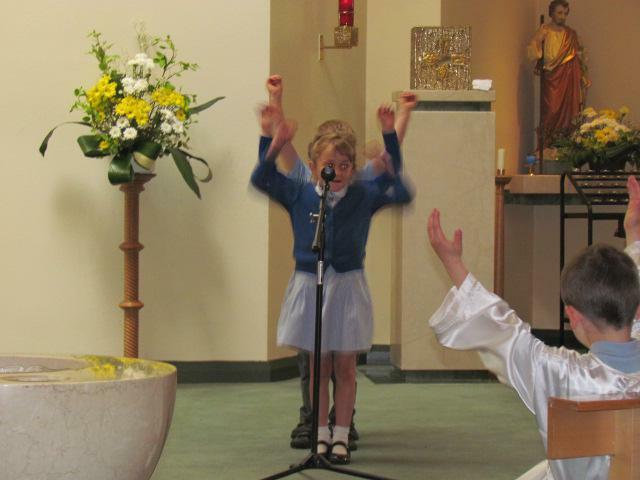 Year 1 pupils did an amazing job in leading the school in the annual Marian Service, celebrating May, the month of Mary. 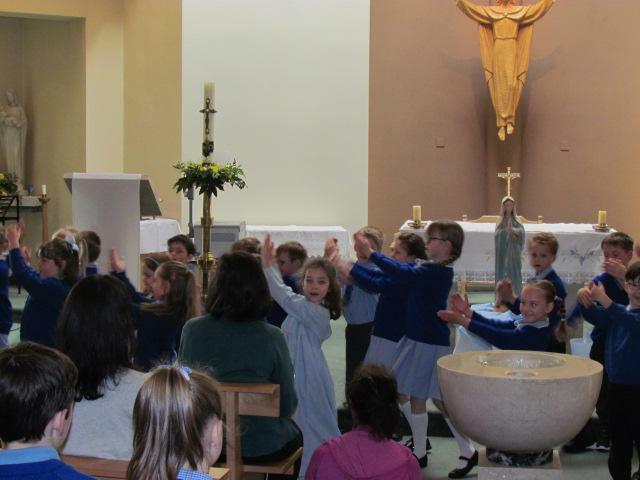 The children re-enacted the Annunciation and gave thanks to Mary for the important role she played in Jesus' life. 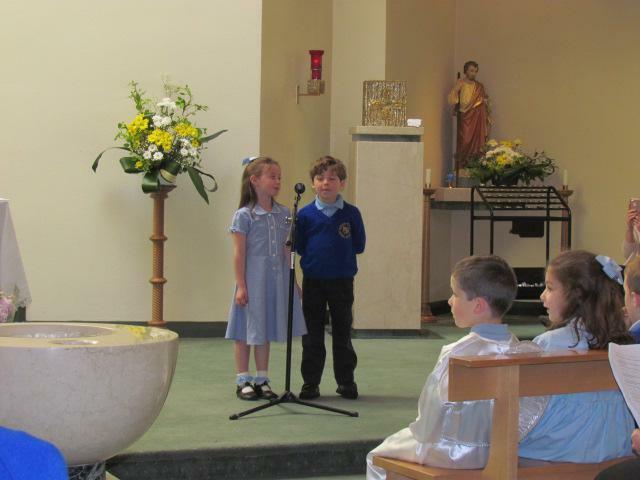 All the children read confidently and enjoyed performing 'My mum's a Superhero' for all their special mums and grandmas in the congregation. 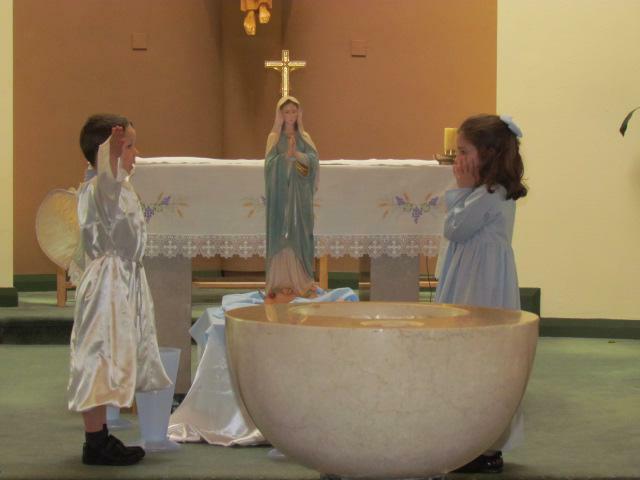 They also performed a 'Hail Mary' liturgical dance, which was graceful and incredibly moving. 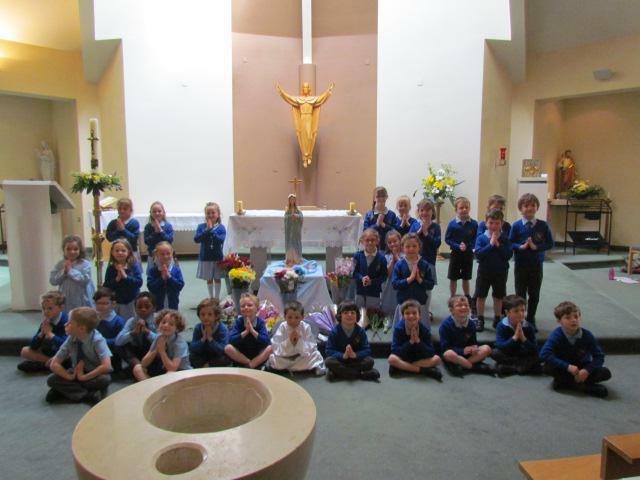 The children delighted in their special moments, when their mums and grandmas were invited to the altar to present flowers to Our Lady. 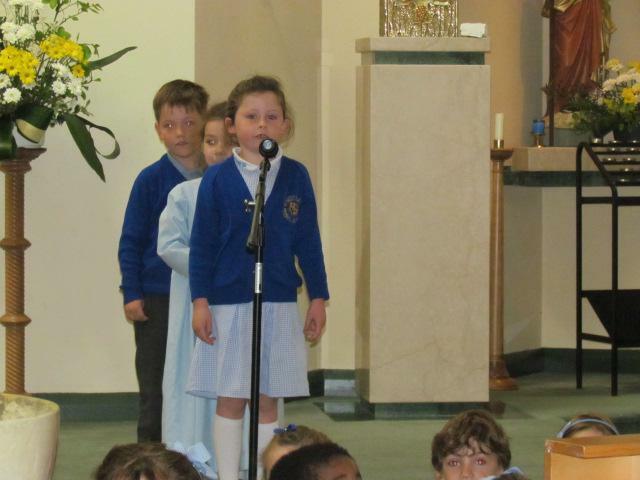 Thank you to everyone who came to support the Year 1 class, they were fantastic!